The fallout for Uber continues. After a fatal crash involving one of the company’s self-driving Volvo XC90's, Arizona’s governor banned Uber from testing autonomous cars in the state. Now the company says it won’t renew a permit to test robot vehicles on California roads. The company plans to let its testing permit lapse March 31, rather than submit for renewal and face the possible scrutiny of its program, amid federal and state investigations into the March 18 crash. 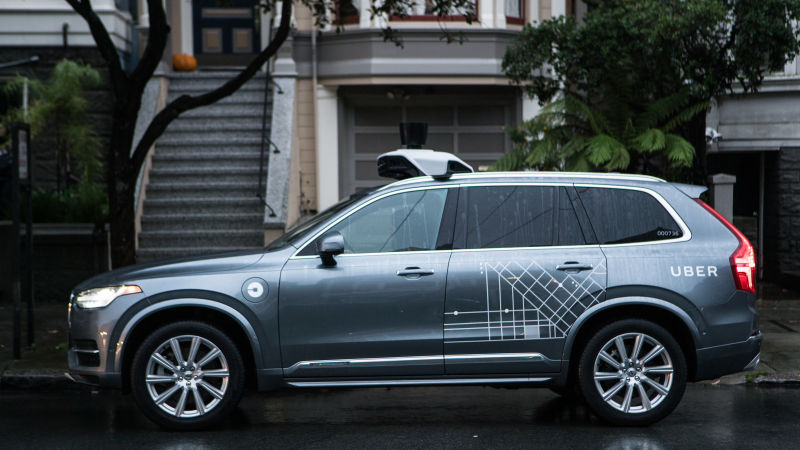 Uber’s self-driving Volvo XC90 fatally struck a pedestrian, 49-year-old Elaine Herzberg, in the city of Tempe, Arizona, as she was crossing a road with a bicycle outside of a crosswalk. An Uber spokesperson told Jalopnik the company “proactively” suspended its self-driving tests across North America following the fatal crash. “Given this, we decided to not reapply for a California DMV permit with the understanding that our self-driving vehicles would not operate on public roads in the immediate future,” the spokesperson said. The California Department of Motor Vehicles indicated in a letter to Uber earlier that it would require the ride-hailing company “to address any follow-up to analysis or investigations from the recent crash in Arizona,” reports the Wall Street Journal. That led to the company’s decision to decline to discuss specifics and let the permit lapse. The decision could surely add-on to the numerous questions being raised about the safety of Uber’s test cars. Jalopnik recently reported the company recently switched to only using one human minder instead of two, as is the typical industry standard, and Uber’s cars were revealed to require far more “interventions” by human operators than similar cars made by Google’s Waymo and others. Meanwhile, the company’s facing an onslaught of passive jabs from competitors in the industry, with the likes of Google’s self-driving car unit, Waymo, saying its technology could’ve prevented the crash. On Tuesday, archrival Lyft joined the pile-on and said it was preventable. It’s unclear if, or when, Uber plans to revive its autonomous car tests.